The city of Baltimore comes alive when the Baltimore Orioles have a home game to play. 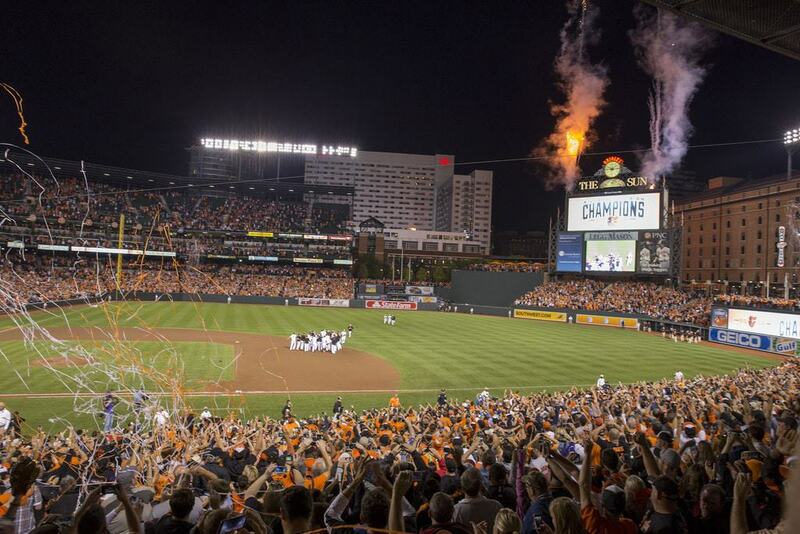 Tens of thousands of people pack into Oriole Park to cheer on their beloved baseball team. The Orioles were at their most successful between 1964 and 1983 when they won 9 division championships, six pennants and three World Series. The success might not have been as forthcoming since those days but that does not stop the loyal fans from getting behind their team and having a great day out in the process. Whilst at the game look out for John Denver’s “Thank God I’m a Country Boy” which is always played during the seventh inning stretch.